I started my trip in Kathmandu, right in the centre of Thamel, a hectic and bustling city full of colour and pollution. As we stepped out of the airport, I could immediately taste the pollution in the air and I was shocked at the road traffic and wild driving. Our driver was extremely friendly and offered to take us to a tour office (with an obvious agenda). After arriving at our hotel, we settled down before taking a walk around the area. Within our first day, we noticed how open LGBT couples were in the city centre. 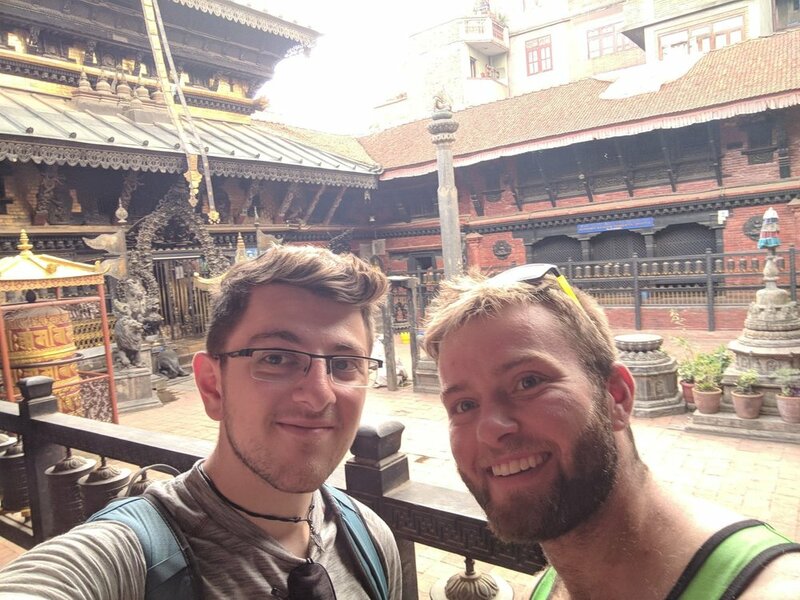 At one stage, we were actually seeing more LGBT couples than otherwise – it was such a culture shock to see the difference compared to the UK and you could tell that it would have been standard practice in Nepal. If anything, we were the ones staring at the couples, as we simply couldn’t believe how open the culture was. I have never been one to display public signs of affection with my partner however it was so nice to see that with the different culture, it would have been completely accepted and regarded as a ‘normal’ relationship. Free from stares and judgment, it shows us how a culture is able to be. Staring towards me however, is not anywhere near the level I expect in the UK. I was wondering whether the Nepalese connection with the British Army would mean that the Nepalese community would have a deep respect for amputees. On the other hand, I thought that with the lower levels of income in Nepal, they would not necessarily be used to seeing ambulant amputees – especially with running blades. As I like to pack as light as possible and I am likely to partake in a lot of physical activity, I only decided to take my Blade XT. It allows me to walk on all terrain without any problems and also go for a run, hike or paraglide where I see fit. Although I don’t generally notice when people stare (because I am now so immune to it), my partner pointed out that EVERYBODY was staring at my leg. On the first day, someone asked to take a picture of me and I noticed a lot of the Nepalese community taking my photo as I walked past. Perhaps, because there aren’t too many tourists in the areas that we are visiting, naturally people stare. However, individuals will often point at my leg as I walk past, as they tell their family to come and see me. I can only guess what they are saying as I only see the heads of people pop out of doors and windows as I walk past. You should have seen the family that came out of their family home as I removed and reattached my leg to change a stump sock. With busy streets full of pedestrians, bicycles, motorbikes, taxis and buses, one would think that the motorists wouldn’t stare. Having said that, there have been a few almost-hits, as cyclists have almost smashed into a post as they stare at my blade. I am very used to this behaviour but not quite at this level. I did see a prosthetic centre sign and another double leg amputee who was using a skateboard to get around however I am yet to see another ambulant amputee in Nepal. Despite the staring, I have been able to use my amputation for an opportunity to gain some discounts at some of the National Heritage sights. Just by asking for a disabled price, some have offered free or half price entry to some areas. I have often been laughed at for asking for a disabled ticket, as the ticket offices are at head height and the vendor does not believe me. However, remaining straight-faced and stating I have one leg has often lead to the vendors reaching out of their booths to gain evidence to my disability. I had a very strange experience yesterday, where an individual was clearly trying to sell me a product. In his bid to try and gain my trust and friendship, he decided to tell me that I have ‘nice legs.’ Fortunately, I found it extremely funny but still very strange. I hope that my visit to Kathmandu has opened the eyes to individuals into the possibilities for amputees. My observations have just been made in the past two days and on Friday I am travelling to Pokhara, a smaller city, before venturing off to Chitwan National Park. I am yet to receive any negative comments so fingers crossed that the next two locations are more accepting. 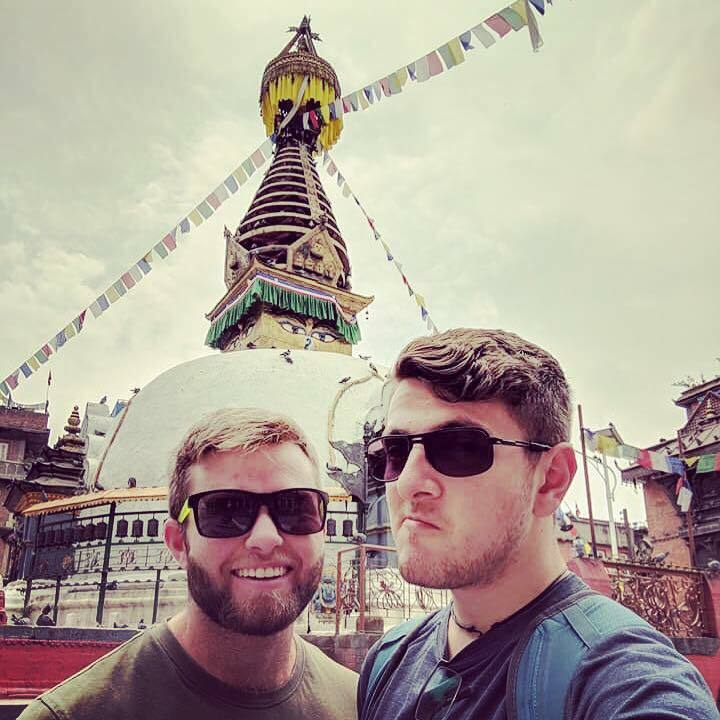 Despite the lack staring and ignorance I am still having a fantastic experience and I am thoroughly looking forward to the more adventurous area of Pokhara.